Are you applying for a new job? Is resume writing a big headache for you? 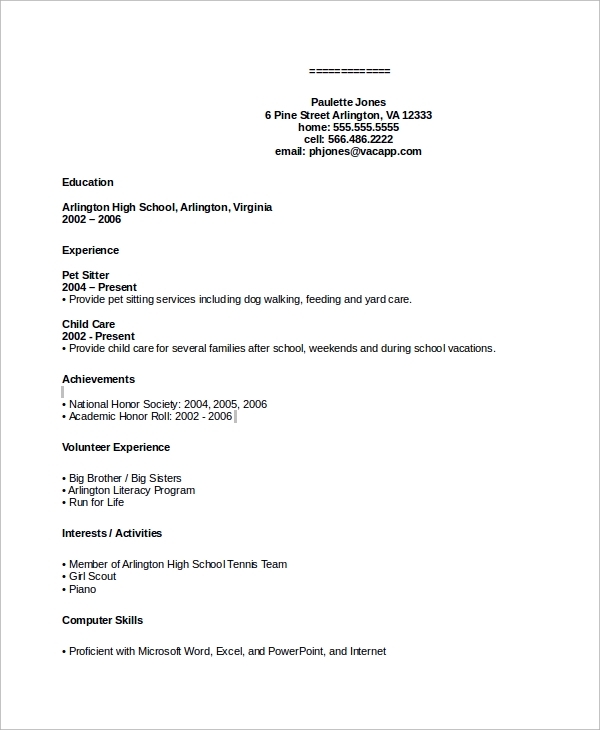 Are you searching for Resume Samples to write an impressive resume? If the above questions meet your problems, then below there is a gift for you. Explore our sample resumes and get the much-needed help in plotting custom resumes as per the company’s need. We have provided a list of samples. Business owners need resumes for various purposes. But, the format for writing short business resume differs from an average employee or applicant’s resume. Check our sample and prepare custom and effective resumes in minutes. If you are a newly pass out or pursuing the final year of your graduation in a university or college, then this CV sample is for you. 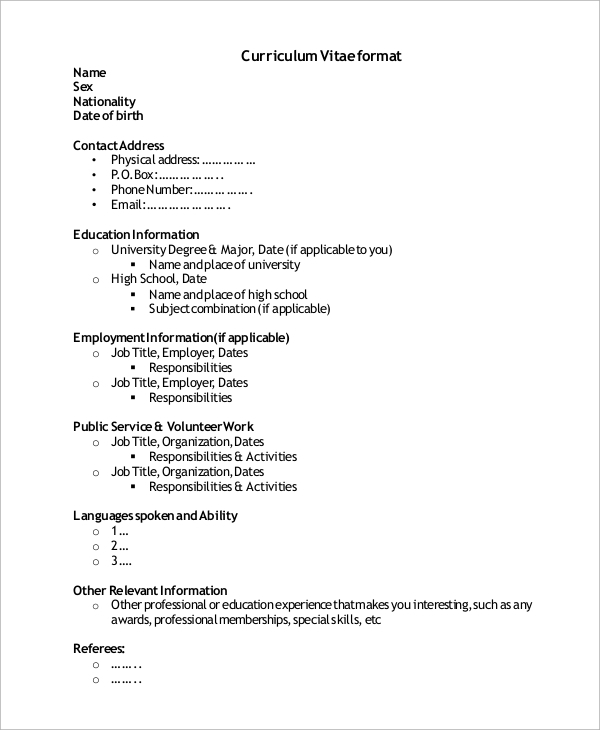 Get an idea from this sample document and prepare appealing and engaging resumes. 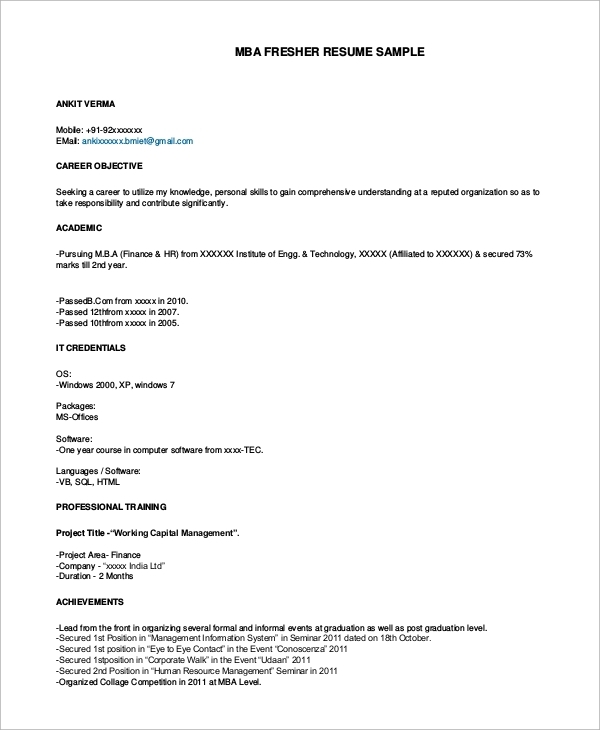 This sample resume is helpful for freshers and applicants having no experience in the industry they are applying for. Prepare impressive resumes highlighting all the relevant skills that match the company profile. 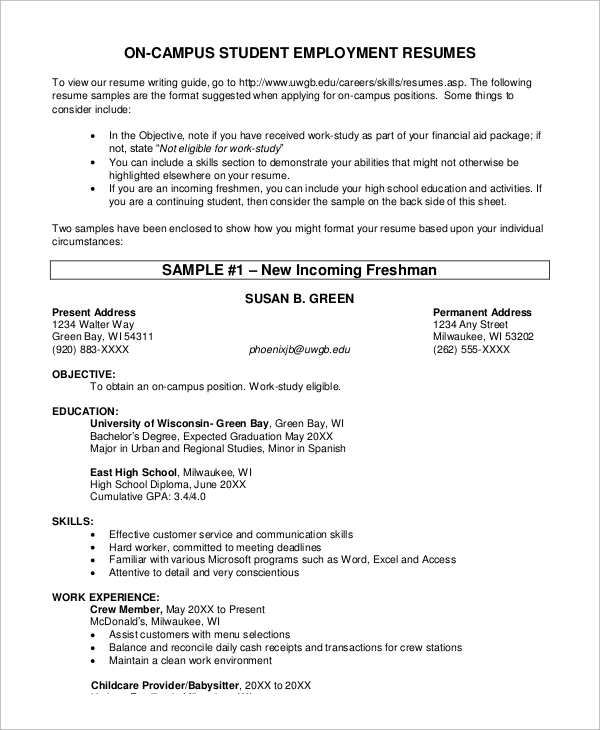 Students who are new to resume making can use this sample document for designing impressive resumes. Check out the format and prepare a custom resume to highlight all the key points like skills, qualifications, and achievements. 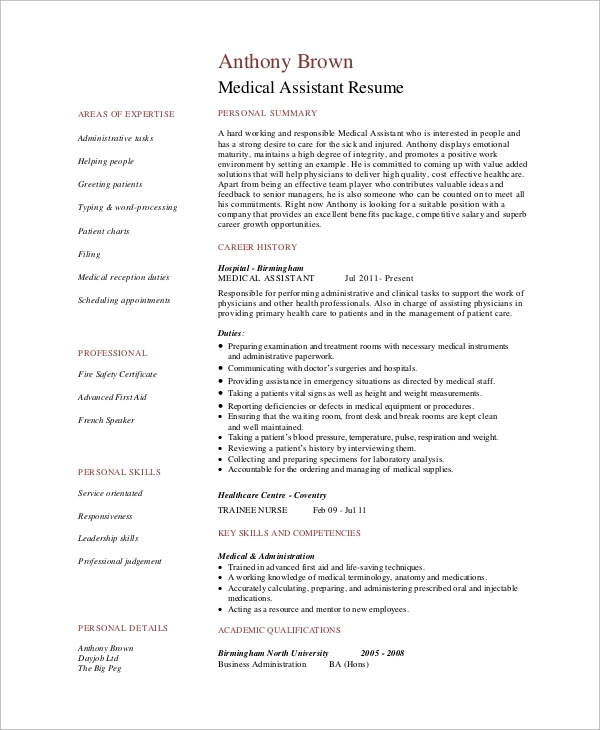 Strengthen your resume by exploring this sample medical assistant resume. 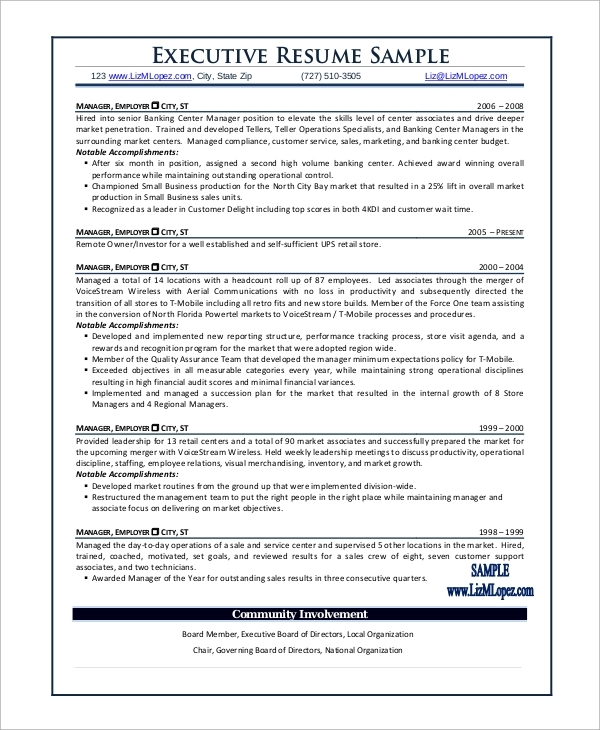 Analyze the structure, format, and key points present in the sample and add in your custom resume for a striking first impression. According to the professionals “First impression is the last impression”. 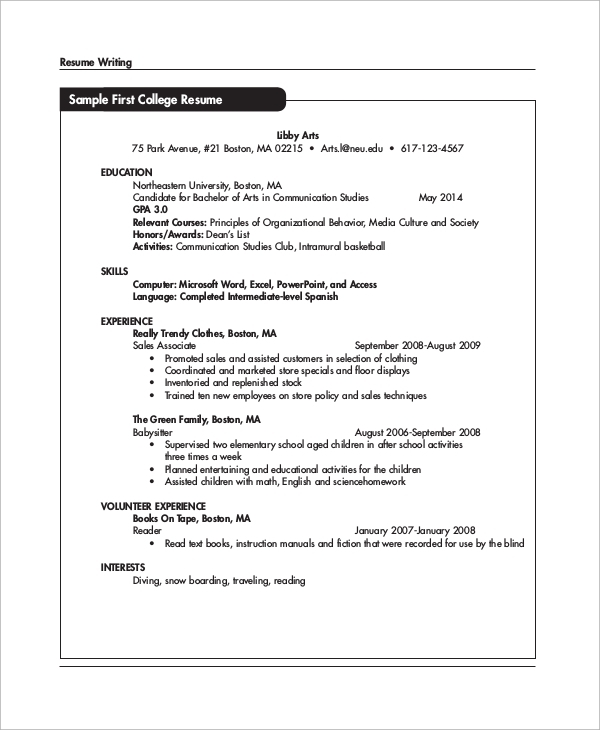 A Professional Resume Sample is the first interaction between an employer and the applicant. So, it should be written carefully for engaging and attracting a company. This 1-2 page document throws light on our skills, career objective, qualification, and achievements. 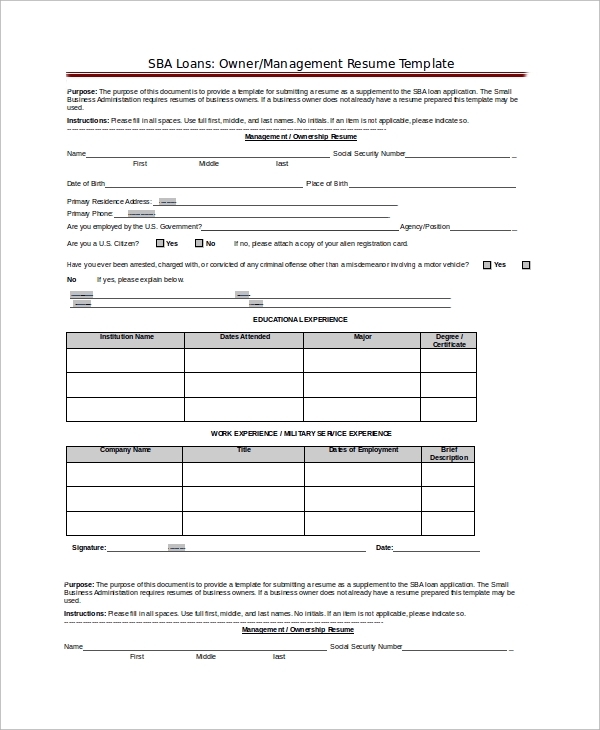 Companies ask applicants to provide resumes while applying for the job. They use the resume to analyze whether the applicant matches the job position requirement or not. Employers use it as a tool to decide whether they will call you for a personal interview or not. A resume is a professional document and an important job tool. Applicants need to send resume while applying for a job. So, any industry professional whether he/she is a fresher or an experienced candidate should write resumes for applying for a job. Our sample resumes are helpful to all job seekers including final year students, non-experienced, experienced, and entrepreneurs. 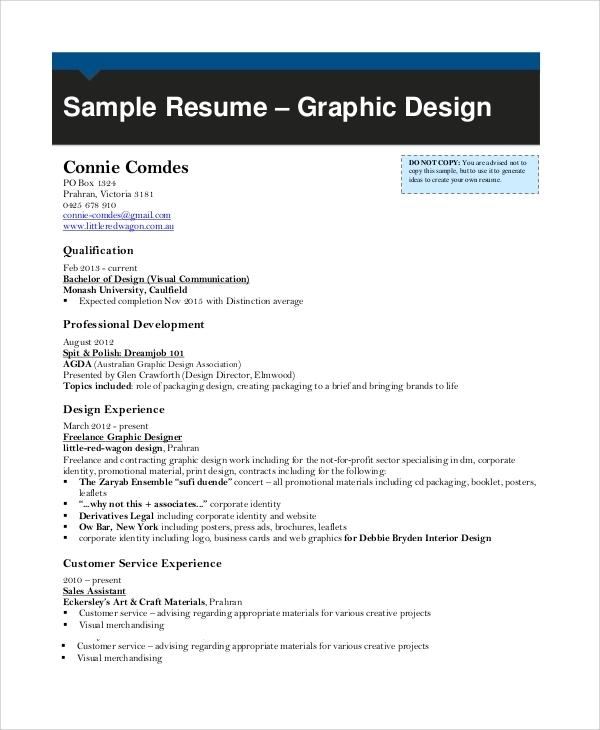 Get an idea for designing, structuring, formatting, and writing resumes. We hope our Basic Resume Samples have saved your research efforts and helped you in writing best resumes. Do contact our team, if you are seeking resume or CV samples for a particular job position or company. Our team will reduce your effort and provide relevant samples in the quickest possible time.